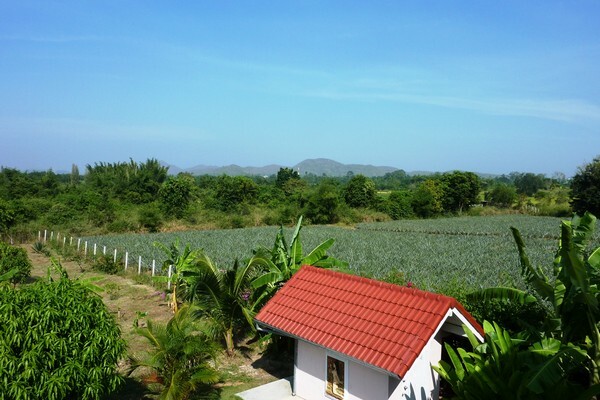 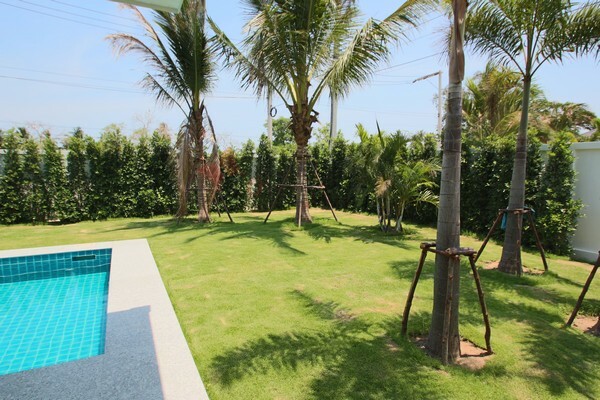 This new residential development is located just north of Hua Hin Airport. Fantastic location, just 900 meters from Palm Hills Golf Course, also close to MAKRO and VENEZIA Shopping Mall, Villa supermarket, 1 km from the beach and just over a km from the Dusit resort and polo club. The project consists of 38 Private pool villas with high perimeter walls for privacy, a four by ten meter swimming pool, a two car covered car park with electric gate and is built to very high standards. 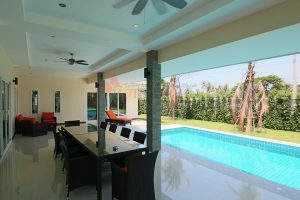 All pool villas are fully air conditioned with expensive high quality units, double glazed UPVC windows from Germany, Alarm system, fiber optic internet to every house, fitted kitchen imported from Denmark, built in wardrobes and dressing tables, a ten year Palm Hills golf membership and a large covered terrace with ceiling fans for enjoying Hua Hin’s excellent climate. Communal facilities include a gym and twenty four hour security. 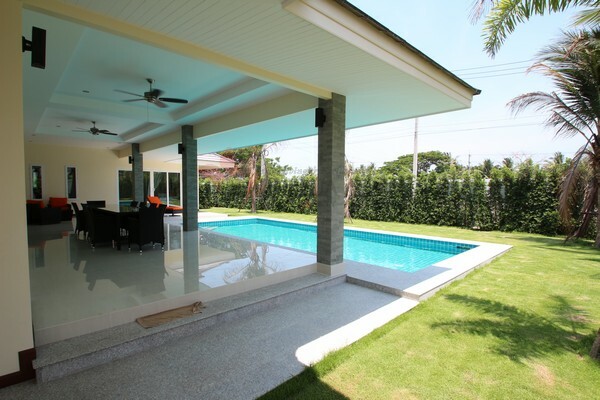 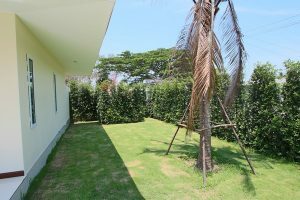 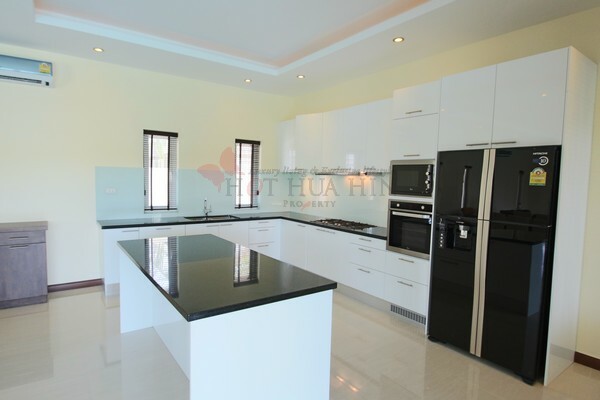 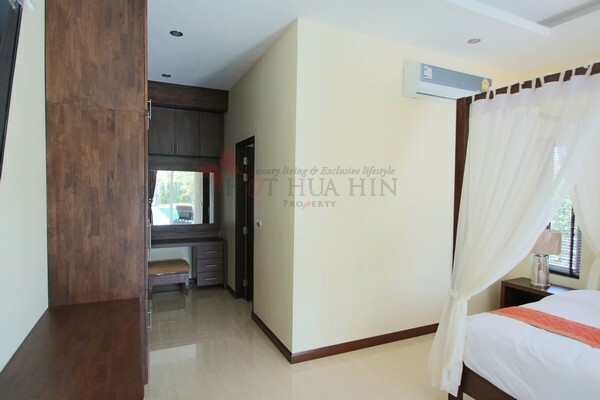 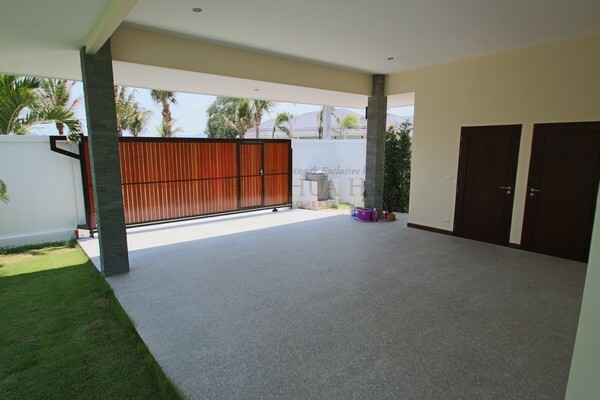 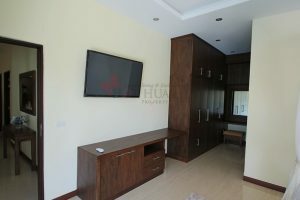 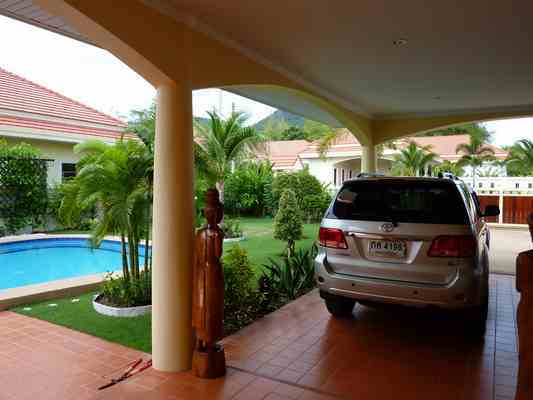 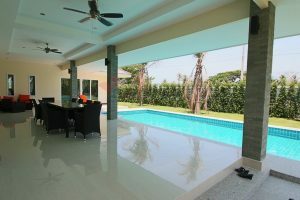 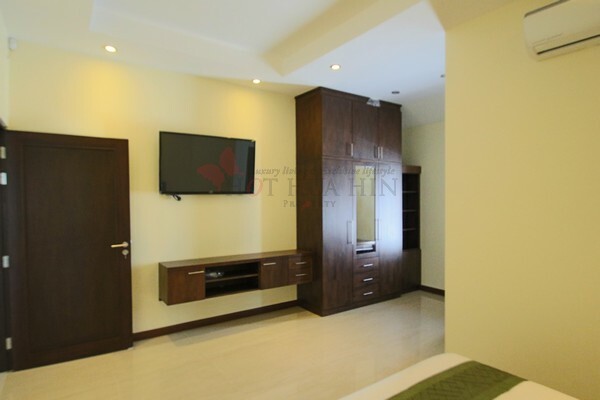 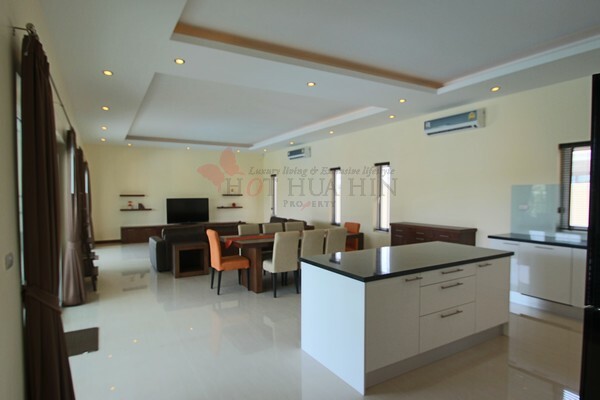 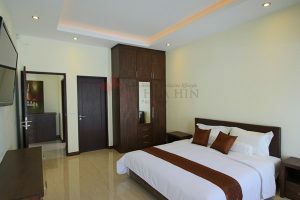 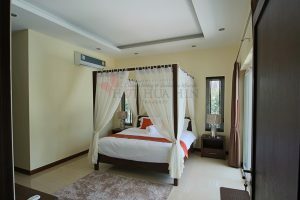 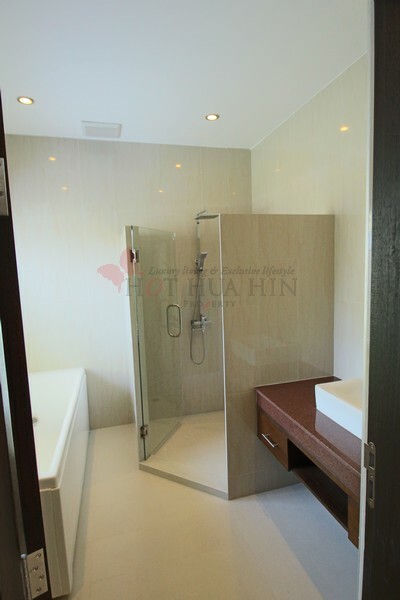 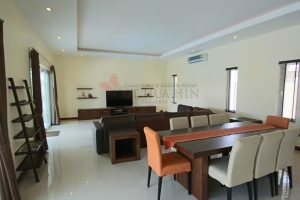 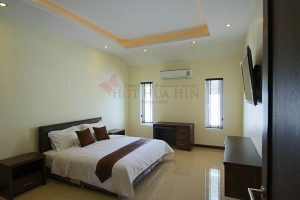 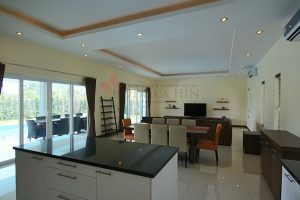 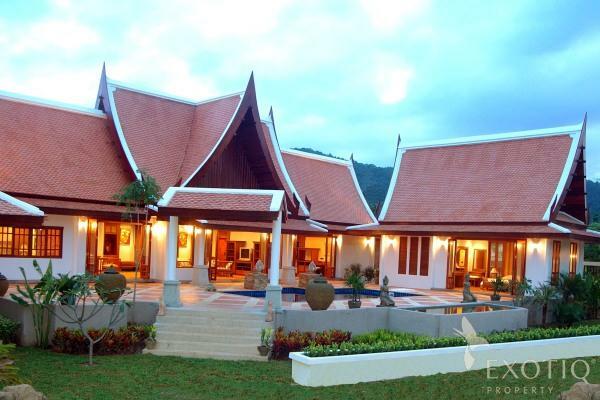 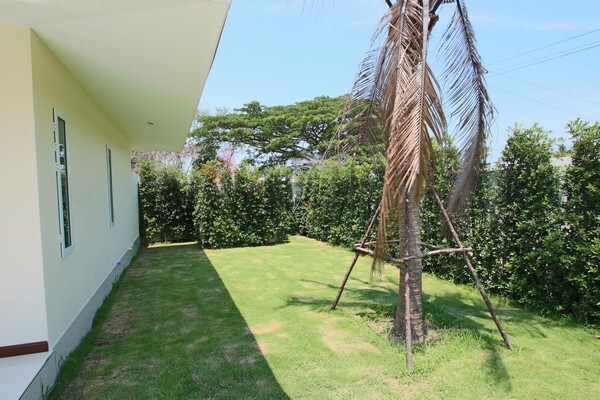 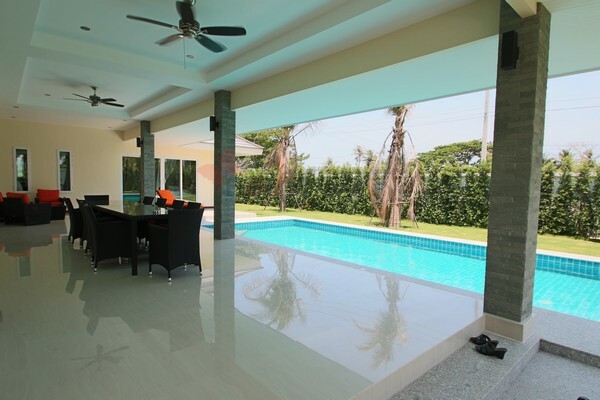 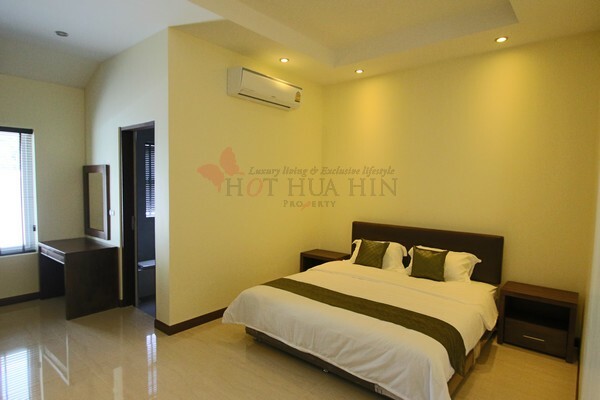 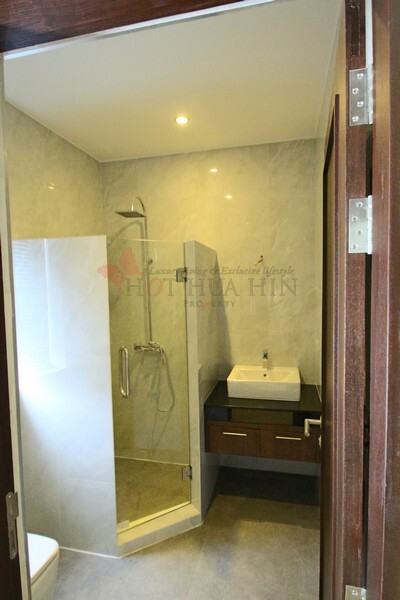 This is an excellent investment offering best value for money in a high end development in Hua Hin.